Today the 2016 St. Pat’s court was announced, and next week the Follies begin. 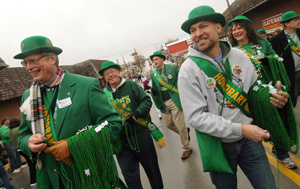 Get ready for the Best Ever St. Pat’s on Saturday, March 19! 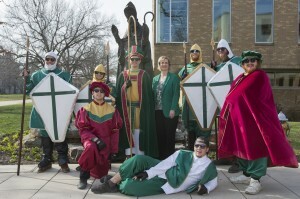 Before then, meet the Honorary Knights and start listening to the St. Pat’s Concert performers. Armor and swords? All these knights need is a green jacket! Meet the 2015 Honorary Knights and St. Pat!